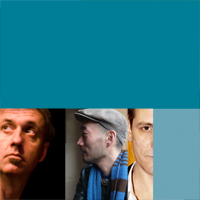 Hear is the blessed union of Hannes Strobl (bass), Toshimaru Nakamura (no-input mixing board) and Tony Buck (drums). Individually recognised and indeed revered for a range of solo and group activities, this trio’s debut undertaking ‘5 Pieces’ is a work that is powerful yet poignant. 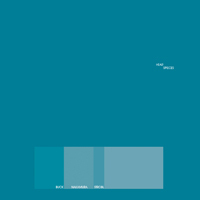 Each of the five compositions recorded suggest the space and harmony of contemporary composition with the free flow of electro-acoustic improvisation – exploring the duality of noise and silence, electronics and acoustic sounds and ultimately minimalism through the varied and vast spectrum of sound colours. Inspired by the possibilities of expanding his composition for electric upright bass, Hannes Strobl enlisted the help of Tony Buck and Toshimaru Nakamura to realise a definitive vision for the works. The session, recorded by engineer Kassian Troyer, was quick to take shape and the group found themselves improvising a number of new pieces as well as producing the haunting 20 minute exploration of Hannes’ original idea.